Open view of fields beyond the back garden., twin beds, colour tv, tea and coffee making facilities, hair dryer, complimentary Bath House toiletries, recently upgraded ensuite facilities and all furnishings. Elegantly styled to reflect the Victorian charm and character. Far reaching and stunning views of Hartley Fell and the Nine Standards, twin or superking bed, colour tv, tea and coffee making facilities, hairdryer, complimentary Bath House toiletries, recently upgraded ensuite facilities and all furnishings. Elegantly styled to reflect the Victorian charm and character. 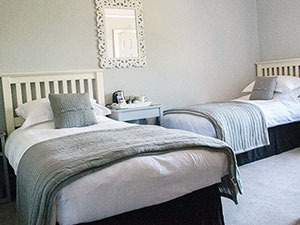 Excellent service, beautiful house and bedrooms, lovely couple with a great sense of humour. 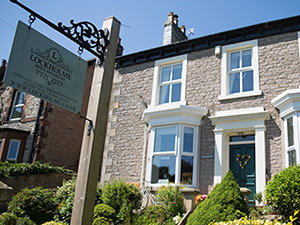 Offering stunning views, delightful, stylish rooms and a very warm atmosphere, Lockholme is the perfect base for many walking and cycling opportunities, as well as being able to explore further in all directions! The amazing surrounding countryside with its history and numerous hidden gems are all on our doorstep. 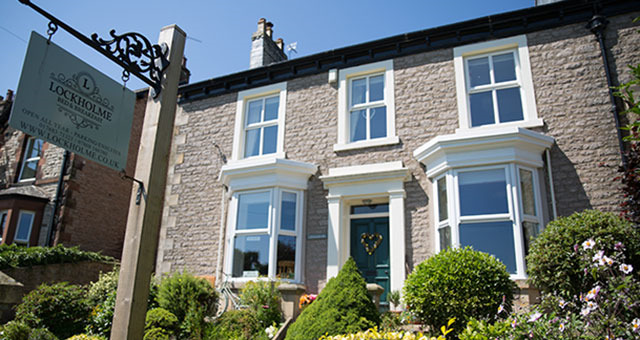 A beautiful Victorian house, less than 10 minutes walk into the thriving market town of Kirkby Stephen, and directly on Wainwright’s famous Coast to Coast Path. 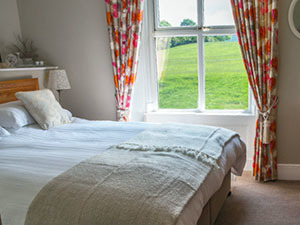 It is ideally placed for visiting the Eden Valley, Lake District,, the Pennines and Yorkshire Dales.. Within a 10 min walk to Kirkby Stephen has lots of amenities including the Upper Eden Information Centre, a pharmacy, Medical Centre, Barclays Bank, 2 small supermarkets Spar and Co-op and 1 larger Co-op, 2 walking shops supplying gear for walkers, climbers and outdoor enthusiasts and several delightful individual gift shops. There is a great choice of places to eat, including three lovely individual pubs serving food, fish and chips shops, a selection of cafes and coffee shops as well fabulous Indian and Chinese restaurants. Younger children can be accommodated with prior arrangement. Children welcome from age 12. Lockholme is on the A685 (South Road )on the south side of Kirkby Stephen. By Road, via the A66 Scotch Corner to Penrith, exit at Brough onto A685. Travel south for about 5 miles to Kirkby Stephen, travel straight through the town, through traffic lights. Lockholme is about half a mile on the right opposite a field. From the M6, exit at J38 and drive 12 miles on A685 north to Kirkby Stephen. Coming into town, over the bridge with left hand bend and Lockholme is approx 400 yards on the left opposite the field. By Rail, the station is 1 mile south from Lockholme on the A685, on the Settle to Carlisle Railway line, with connections to and from leeds and Carlisle. The house because of its age and design is not suitable for wheelchair users.